Mathematics Lessons or Works of Textile Art? 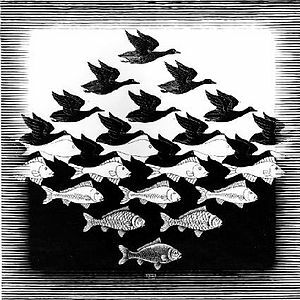 The subjects of math and art are perceived to be orthogonal and mutually exclusive. The left brain-right brain theorists have us believe that in general, an individual is better at one of these two subject areas. If a child is not good at mathematics, she will do well at creative subjects. Maybe as a consolation that works and therefore this concept found a foothold and gained popularity. But is this concept necessarily correct? An examination of works of traditional textile art from various cultures forces us to rethink the idea that math and art cannot coexist in one space. 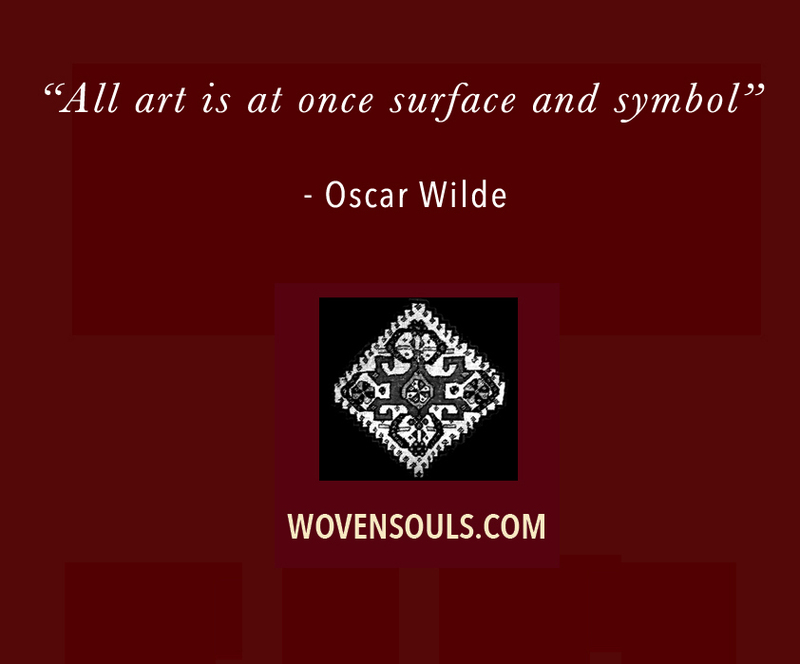 On the contrary, some textile art pieces show us that when the two fuse with each other, the resultant creation is a feast for the soul as well as the mind! If people of the past – considered to be more primitive – could produce works that combined these two supposedly orthogonal subjects then it leads me to wonder about the truth value of these theories. EXAMPLE 1 : Antique Caucasian Shirvan Prayer rug. Note the various elements the color of the leaf, the color of the leaf border, the pattern within each leaf and the color combinations of these patterns. Is there an algorithm that is embedded in the layout of motifs within the botehs? Is there a rule with which the colors alternate? Is there a pattern that can be abstracted from the many levels at which this drawing could be studied? The dot-and-dash pattern that we analysed at the MENSA IQ test seems like kindergarten math compared to that contained in art above. Example 3: Antique Gendge Star lattice rug. 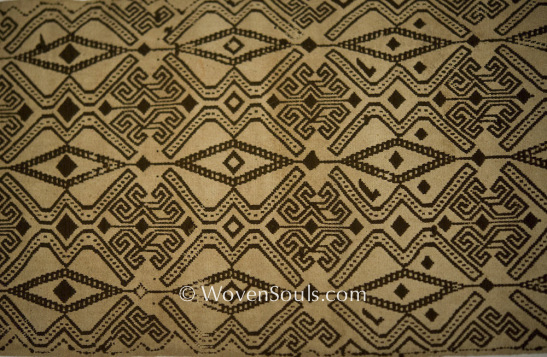 Example 5: Vintage Kuba Currency cloth. Example 6 : Antique Dayak Pua Pilih weaving. 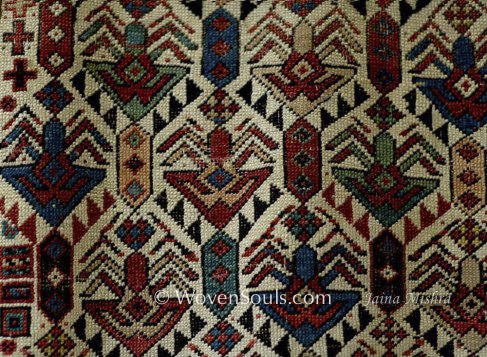 This weaving plays with the field and motifs in a way that makes it impossible to define which is the field and which is the motif. 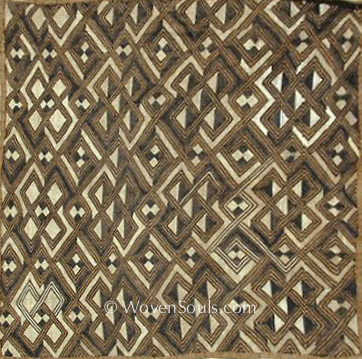 Example 7: Antique Ikat weaving from Timor. Another example of reversal of field & motif. That patterns in nature often follow mathematical number patterns known as the Fibonacci series. A brief look at this connection through this superb video explains it very simply. This connection allows us to formulate the idea that mathematics can provide the underlying logic and explain the complex laws of ways of nature. At a recent dinner with friends, conversations with some chief honchos of mega multinational firms revealed that the most insightful discoveries today are the result of the recent advances in the field of ‘big data analytics’. Humongous amounts of data are being processed to reveal patterns if any and to arrive at the mathematical modelling of these patterns. An early example was the human genome project. With such advancements in analysis therefore, it is foreseeable that in our lifetimes we might even find the way to explain the workings of all of nature nature through mathematical formulae! As I upload this, I am reminded of the film “A Beautiful Mind” describing the life of Nobel prize winning mathematician John Nash. In one of the most scintillating scenes of the film, he is standing around with his classmates in an elite Ivy League University and chatting awkwardly. At one point point he notices the pattern on the tie of one of the other young men and within a thought or two, he arrives at the mathematical logic that describes the pattern. Naturally he is so deep in observation and analytical thought that he loses track of the conversation allowing his colleagues a chance to make fun of him. The contrast in that scene in which his mates are ridiculing him while he is experiencing exhilaration at his mathematical finding, is absolutely brilliant! And it is that exhilaration that I am waiting to experience when the underlying logic in all these textile artworks is revealed to me! Until then I will just have to shut out my thoughts on the mathematical mysteries of these textiles. This entry was posted on September 22, 2015 by wovensouls in Art Kaleidoscope and tagged A Beautiful Mind, analytics, ancient knowledge, big data, data analytics, design, drawing, education, folk art, genome, John Nash, learn, logic, math, Mathematician, mathematics, mensa, motif, number theory, parallel, pattern, pattern analysis, science, similarity, symbolism, teach, Teaching Resources, textile, textile art, Textile arts, textile pattern, traditional art, Tribal art.